How many franchises can pull these kinds of drastic changes between games? God of War’s formula was working. It was getting stale but it was working. Sony and Santa Monica Studio didn’t have to shake things up but they did, it worked, and I loved it. 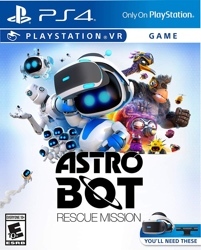 Astro Bot: Rescue Mission sold me on PlayStation VR. It was a fantastic fusion of 3D platforming and virtual reality gimmicks. By the end of it, I felt it validated my purchase of the PlayStation VR. Marvel’s Spider-man is easily the best Spider-man and rivals some of the best superhero games of all time. It’s also my favorite adaptation of Spider-man and that includes the movies. I didn’t buy a Call of Duty title since Call of Duty: Black Ops III. I initially skipped the two Call of Duty games that featured single player campaigns. I eventually picked up Infinite Warfare on sale for it’s campaign but I realized that I was just here for the multiplayer component. And it’s worth it. The Kanto region has never looked as good as it did in Pokemon Let’s Go Eevee. It’s the ideal blend of old and new. Yakuza 6 did right by Kiryu Kazuma. 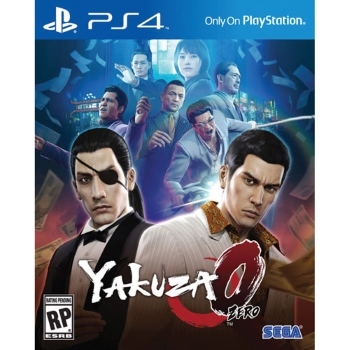 Coming from the heights of Yakuza 0 was never going to be easy but this grizzled yakuza still managed to entertain despite the age. Forza Horizon 4 was my first foray into the Forza spin-off and I had a great time. I didn’t see it until the end but I still enjoyed what I played. I’m not the biggest fan of open world racers but Forza Horizon 4 won me over. Dragon Ball FighterZ was a childhood dream come true. I just wished I dreamt of solid single player and online modes as well. Monster Hunter World showed there’s a lot to like about this long running franchise. Capcom built a solid foundation for the future and I look forward to the sequel that allows me to play co-op without jumping through cumbersome hoops. There’s a lot of love of video game history in Super Smash Bros. Ultimate. I have yet to sink my teeth into it but what I tasted was enough to keep me wanting. There’s just not enough time in the day to play all the video games that I want. As a result, some games get bumped out of the 365 day window for these game of the year awards. Here’s some of the best from last year that I played and some of the most desirable titles that I just didn’t get around to in 2018. I enjoy Tetris. I also enjoy Rez and own a VR headset. 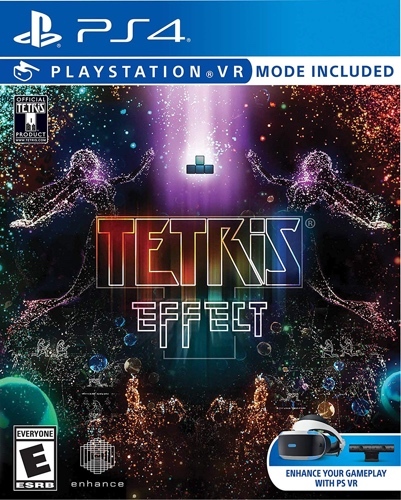 But I don’t enjoy paying $50+ for a Tetris game so that’s why I don’t own Tetris Effect yet. 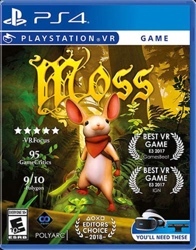 It looks marvelous and I’ve heard enough praise touting it as an amazing VR experience. I can’t wait to try it for myself! 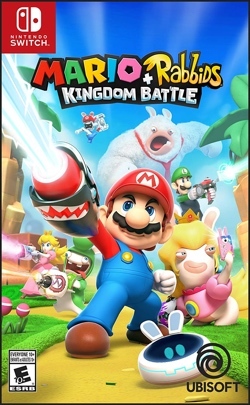 Mario + Rabbids: Kingdom Battle was such a weird collaboration but it works! I really enjoyed my time with this wacky game and grew to find the Rabbids endearing. It resembled XCOM: Enemy Unknown but it was pushed far into the puzzle side of things. I was encouraged to play with efficiency in mind and I enjoyed that added challenge. It also featured an excellent soundtrack by Grant Kirkhope! 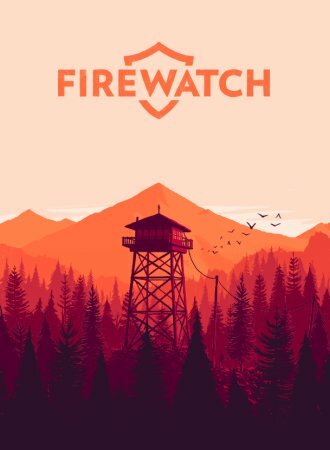 Firewatch wins this category on a technicality because I simply didn’t play many older games in 2017. I was at odds with Henry’s cowardly ways; it’s very rare that I don’t find any redeeming qualities with the protagonist of an game let alone an adventure game. He was a coward who ran away from his problems. I made it my mission to steer him back home and away from the allure of Delilah. I related to his growing infatuation with her even though she was nothing more than a voice. I came away reinforcing my own definitions of infatuation, love, and unconditional love. And for someone who was in the middle of a budding relationship, that proved to a bit helpful. Yakuza 0 is a masterful blend of wacky and touching moments. It took me on a wonderful journey through 1980’s Tokyo that left me wanting more. Giving Kiryu’s backstory more airtime was nice but transforming Goro Majima into a more than just a wacky nuisance was the real winner here. I’ve played my fair share of Yakuza games starting with Yakuza 2 and the sheer amount of stuff to engage with in Yakuza 0 was astounding. Not all of it was of stellar quality but I found myself enjoying the journey and not wanting to end. I even flirted with the idea of returning to 0 to mop up leftovers. 2. Super Mario Odyssey – There may have been way too many Moons to collect but for the vast majority of the time, Super Mario Odyssey was a joy to play. My only complaint? It didn’t quite dazzle me like Super Mario Galaxy did but then again, how many games can live up to that masterpiece? 3. Persona 5 – I’m technically still in the midst of playing this game but I really enjoy it. I – like many others – have a strong affinity towards Persona 4 and its cast of characters, so I was curious what Atlus would do to win me over with a new cast of characters. After a bit of an awkward and rocky opening, I’m finally hitting my stride with the game. I adore the music and style which they unsurprisingly nail. But I’m a bit surprised with how invested I am with the characters and their stories. They’re grabbing with their shocking nature but I’m sticking with them to see how they handle these “classic tales of woe” in these modern times. 4. Uncharted: The Lost Legacy – In a year filled with open world goodness, Uncharted games feel especially antiquated with their restrictive climbing mechanics and instant death pitfalls. But once I got my Uncharted legs back under me, The Lost Legacy was a wonderful way to revisit the mechanics of Uncharted 4 without the long commitment of reliving Nathan Drake’s final epic. 5. Metroid: Samus Returns – Almost any effort would have been seen as a success coming from Metroid: Other M. Metroid: Samus Returns not only successfully remade Metroid II: Return of Samus for 2017 but they also proved capable of taking the franchise forward with fresh new additions to Samus’ core moves. 6. The Legend of Zelda: Breath of the Wild – There’s a lot of promise shown in The Legend of Zelda: Breath of the Wild. I think Nintendo struck gold with this new take on 3D Legend of Zelda. But I want something more than dazzle. I want more to do and I don’t mean more shrines. Creative types had a ball coming up with clever ways to torment the denizens of Hyrule. If only I had the knack for making my own fun. Then maybe, I would have loved Breath of the Wild a bit more. 7. Mario Kart 8 Deluxe – Mario Kart 8 was number 2 on my 2014 list and it still holds up 3 years later. It’s easily my favorite Mario Kart title and it’s even better with this refined package. This time around, I found additional joy playing the game with friends and family in 4 player splitscreen. It’s the first Switch game that I played like one of those Switch commercials. 8. Nier: Automata – I like many of the individual elements of Nier: Automata but as a whole, it felt short. The soundtrack is phenomenal — I still listen to it on a regular basis. But the bland world and basic combat left me wanting. And while I understand that playing the game multiple times to wring out additional endings is appealing to some, I generally dislike it. I don’t mind replaying exceptional experiences but unfortunately for Nier: Automata, it wasn’t one. But that soundtrack? Keep that on loop. 9. Puyo Puyo Tetris – I didn’t get around to reviewing this game because I never got around to completing I did enjoy what I played of Puyo Puyo Tetris. The campaign is silly nonsense that overstayed its welcome but I admire their heart. It’s a fantastic game filled with nonsensical characters and great puzzling action. I know I will be returning to it time and time again which is why it currently sits as one of two digital purchases for the Nintendo Switch. 10. Yakuza Kiwami – I experienced the first Yakuza through Yakuza 2’s recap video so while I had an idea of how the adventures of Kiryu started, I didn’t experience it first hand. I rectified that this year thanks to Sega’s remake dubbed Yakuza Kiwami. It was certainly extreme but coming from Yakuza 0’s ridiculous panache, it felt a little toned down and disjointed. Granted this was faithful to the original game but I think they may have been a little too faithful. Still, it was good to see the likes of Yuya brought out of the dark ages of the PS2.